**NEW PRICE** Swanmere is a fantastic family home with FAR REACHING VIEWS over Fairburn Ings Nature Reserve, beautiful gardens and walkway down to the waters edge itself. This stunning exclusive property over recent years has be stylishly modernised and maintained to a HIGH STANDARD. 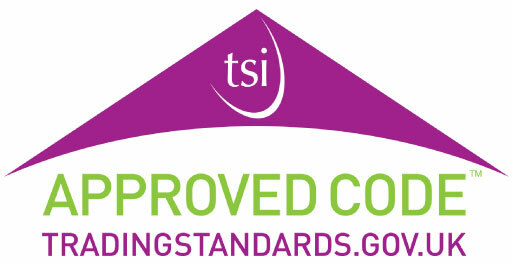 EPC rating D56. Swanmere is a fantastic family home with far reaching views over Fairburn Ings Nature Reserve, beautiful gardens and walkway down to the waters edge itself. This stunning exclusive property over recent years has be stylishly modernised and maintained to a high standard and only by walking around the grounds and seeing the property internally, in person, do you fully appreciate the size, quality and idyllic location this home has to offer. Electric gates access a driveway providing ample off street parking with the benefit of planning permission granted for the erection of a detached double garage. The enclosed grounds and gardens surround the house, enjoying a good degree of privacy. 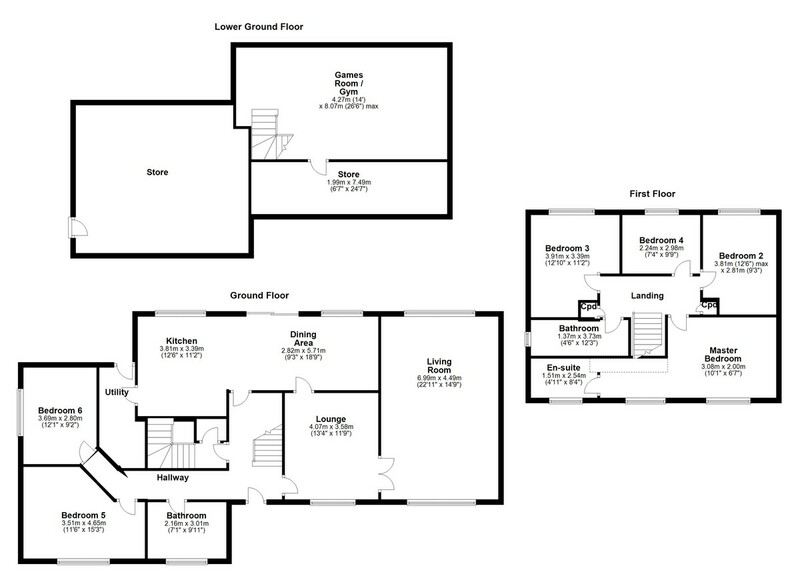 Internally, the accommodation is spaciously split over three levels and briefly comprises: entrance hallway, lounge, separate spacious living room, open plan kitchen/dining room with utility room off, family bathroom and two flexible-use bedrooms/reception rooms. The lower ground floor offers a versatile room currently set up as a gym with store room off. To the first floor, the landing leads to four good sized bedrooms, the master with dressing area and en suite bathroom/w.c. in addition to the main contemporary shower room/w.c. This substantial unique residence would be ideally suited to a family purchaser or professional couple wanting to enjoy space and tranquillity in this amazing setting. A viewing can be arranged via Richard Kendall Estate Agent, Castleford. ENTRANCE HALLWAY Composite front entrance door leading into the entrance hallway. Central heating radiator, ceiling coving and understairs storage cupboard. Staircases lead to the first floor landing and lower ground floor. Solid wood doors lead to the lounge, kitchen/dining room, two bedrooms and family bathroom/w.c. LOUNGE 13' 4" x 11' 8" (4.07m x 3.58m) UPVC double glazed window to the front, central heating radiator, wall lighting, ceiling coving and solid wood glazed double doors leading to the living room. LIVING ROOM 22' 11" x 14' 8" (6.99m x 4.49m) Enjoying a dual aspect with a UPVC double glazed window to the front and French doors to the rear enjoying views over Fairburn Ings. Vaulted ceiling with exposed beams, wall lighting, three central heating radiators and a feature fireplace with timber surround and marble hearth. KITCHEN/DINING ROOM 27' 5" x 11' 9" (8.36m x 3.58m) max The kitchen area comprises a range of wall and base units contrasting granite work surfaces and an inset double Belfast style sink. Electric range cooker with granite splash back and extracting filter hood. Matching breakfast bar, exposed ceiling beams, downlight spotlighting, ceiling coving, laminate flooring and central heating radiator. Two UPVC double glazed windows overlooking the rear garden and Fairburn Ings beyond with French doors leading out to the rear patio area and garden. Solid wood door to the utility room. UTILITY ROOM 11' 11" x 5' 7" (3.63m x 1.7m) plus recess Comprising a range of matching wall and base units with granite work surfaces and an inset Belfast style sink. Plumbing for a washing machine, space for a dryer, space for fridge/freezers, downlight spotlighting and composite rear entrance door. BEDROOM FIVE 15' 3" x 11' 6" (4.65m x 3.51m) UPVC double glazed window to the front, central heating radiator and ceiling coving. BEDROOM SIX 12' 1" x 9' 2" (3.69m x 2.80m) UPVC double glazed window to the side overlooking the driveway, central heating radiator and ceiling coving. FAMILY BATHROOM/W.C. 9' 10" x 7' 1" (3.01m x 2.16m) Three piece suite comprising bath with shower over, low level flush w.c. and wash hand basin. Tiling to the walls and floor, downlight spotlighting, extractor fan and UPVC double glazed window to the front. GYM/GAMES ROOM 26' 5" x 14' 0" (8.07m x 4.27m) A useful space suitable for a variety of purposes, currently set up as gym but would make an ideal games room and play room. Central heating radiator, ceiling coving and downlight spotlighting. Solid wood door leading to a store room. STORE ROOM 24' 6" x 6' 6" (7.49m x 1.99m) Central heating radiator and fitted shelving. FIRST FLOOR LANDING Solid wood doors lead to four bedrooms and the shower room/w.c. MASTER BEDROOM 21' 1" x 13' 1" (6.43m x 3.99m) max, L-shaped Two UPVC double glazed windows to the front, ceiling coving, central heating radiator and a range of built-in wardrobes, drawers and dressing table. Solid wood door leading to the en suite bathroom/w.c. EN SUITE BATHROOM/W.C. 8' 3" x 4' 11" (2.54m x 1.51m) Stunning four piece suite comprising bath with shower attachment, low level flush w.c. and twin wash hand basins set onto a large vanity unit with matching cupboards above and vanity mirror. UPVC double glazed window to the front, fully tiled walls and floor, ceiling coving, downlight spotlighting, feature lighting and central heated towel rail. BEDROOM TWO 12' 5" x 9' 2" (3.81m x 2.81m) UPVC double glazed window to the front, central heating radiator, ceiling coving and built-in wardrobes and drawers. BEDROOM THREE 12' 9" x 11' 1" (3.91m x 3.39m) UPVC double glazed window to the rear overlooking Fairburn Ings, central heating radiator, ceiling coving and built-in wardrobes and drawers. BEDROOM FOUR 9' 9" x 7' 4" (2.98m x 2.24m) UPVC double glazed window to the rear overlooking Fairburn Ings, central heating radiator and ceiling coving. SHOWER ROOM/W.C. 12' 2" x 4' 5" (3.73m x 1.37m) Four piece contemporary suite comprising large walk-in shower with rainfall shower, low level flush w.c. with concealed cistern and twin wash hand basins set on to large vanity unit with illuminated mirror above. Feature lighting, downlight spotlighting, extractor fan, central heated towel rail, UPVC double glazed window to the side and fully tiled walls and floor. 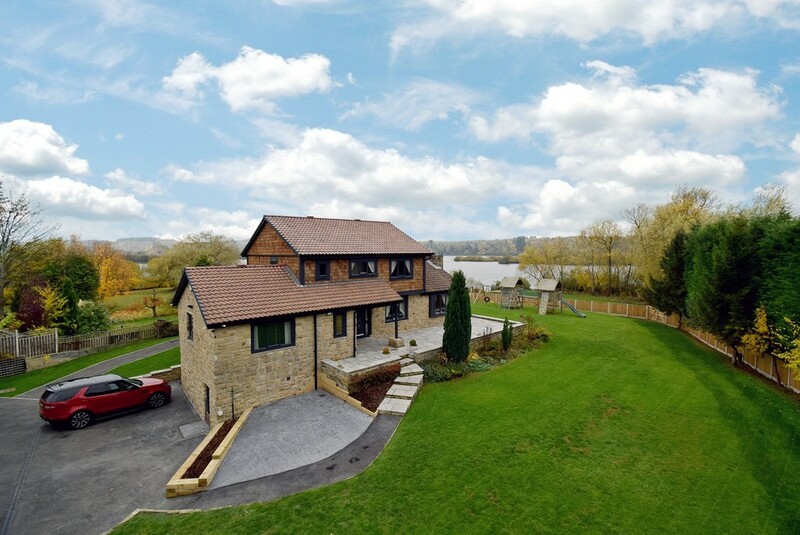 OUTSIDE There are enclosed gardens to all sides, set on a plot of approximately half an acre, enjoying a good degree of privacy and boasting it's own gated access the water's edge of Fairburn Ings complete with mooring rights. The gardens are enclosed with wall and fenced boundaries, laid mainly to lawn with mature trees/shrubs and terraced seating areas taking full advantage of the open views. Wrought iron electric gates access a driveway providing ample off street parking for several cars. Planning permission has been granted 12th Dec 2017 under application reference 2017/1012/HPA for the erection of a detached double garage. A copy of the plans and decision notice are available to view at our Castleford office or online at the Selby District Council Planning Portal. There is also a large external store accessed from the driveway, beneath the ground floor bedrooms and bathroom.